13 years. That’s a long time to walk in the wrong direction. Ask Abraham. He said this in 17:18 (Read the rest of the conversation between verses 1-18 to see why his name changed, among other things). Abraham said this in response to just being told, in so many words, quite graciously, “My plan hasn’t changed. Even though you tried your way, I’m still offering you a better way.” Thankfully, we all can say Abraham followed the plan. This scene offers us hope when we’ve followed Abram’s and Sarai’s path. At some point we all seem to face the choice to wait, or to devise our own way, or to heed questionable counsel. It’s almost as if a salesperson shows us a pair of blinders, and we knowingly reply, “Yes. I’ll have a pair.” For whatever reason, we complete the transaction, say thank you, put them on, and walk out the door…until God shows up, however long that takes. Do you have an unresolved “if only”? Are you wearing blinders? How long before you follow Abraham’s lead? Earlier this year I released an album entitled “For All My Days.” That title came from the album’s last track, “God’s Love.” Yesterday my producer Dave Bechtel posted a video with his thoughts about it. Follow the link above to view it. Feel free to share it. An interesting connection seemed whispered to me in last night’s Christmas Eve service that I’ll take a few lines to unpack. Many times in scripture someone was told not to be afraid. Sometimes it was from a leader to his people; sometimes it was from a writer to his reader. In the scenes of the Christmas story (Matthew 1, Luke 1-2), Joseph and Mary and the shepherds were are told this same message. After Joseph was told not to be afraid in Matthew 1, Isaiah is quoted that “they shall call his name Immanuel, which is translated, ‘God with us. '” Interesting. If God is with us, do we need to be afraid? Is it possible that we get afraid because we believe God isn’t with us? Or at least we get our eyes on something huge like the unexplainable pregnancy of a fiancé and forget that God is with us? Some have endured the holidays being afraid. And humanly speaking, who can blame them? A recent widower, a confused parent, a lonely senior couple. Pray for them that they experience God is with them. As you look into 2019, what might you be afraid of? Finances, health, relationships, job security, looming transition? How could you remind yourself that Jesus’ coming made it possible for God to always be with you? You don’t have to be afraid. Immanuel came. God is with you. God answers prayer, but asking prayer is not primarily about answers. Asking prayer, like all other forms of prayer, is about relationship. If you make asking prayer about answers, you’re moving into dangerous territory. When prayer is primarily about answers, our relationship with God becomes results focused. When God says no or works outside of our time schedule, we desperately question why and are tempted to feel inadequate or unloved by God. Be assured that as you grow in the area of asking prayer, the Devil will seek to shift the focus of your prayers from relationship to results. Christ was well aware of the relational purpose of asking prayer. In the seventh chapter of Matthew when Jesus dared His followers to ask for things – big things – like “elephants” in prayers. He immediately transferred the focus from the asking to the fatherly or paternal relationship that surrounds each request we make. Jesus was saying that whenever you ask in prayer you open up the familial lines of communication and put yourself in a position to experience relationship with a loving and compassionate Father. When God answers your prayers in dramatic fashion, you will grow in the knowledge of His power and care for you. When God works on His schedule instead of yours, you will come to know more about His sustaining power. And when God says no and your dreams die or perhaps you lose someone close to you, you will come to know the God of all comfort who weeps with you. If you want to know God as Father, begin to assault the throne of heaven in asking prayer. What About the Books on Your Shelf? In a coaching call this week, a completely different question surfaced. The agenda of the call was to determine the various kinds of books this guy wanted to explore reading in 2019. He wanted to determine other genres and topics than he normally chooses, even material that might be uncomfortable. When it appeared the list was about done, I asked him to think about what kind of books give him life, refresh him, maybe even recreate him. I thought I knew how he would answer the question. I was wrong. I assumed he would talk about style or topics or genre. Instead, he responded by naming titles of several books he’d read that were still meaningful to him. As he talked about them, he realized a simple thing. A good thing to do as a reader is to re-read good books, books that breathed life into you, books that made a difference. So he decided that another source for his quest for building his library for 2019 was to take a look at the books he already has, books already on his shelf practically guaranteed to restore his mind, heart, or spirit. What about the books on your shelf? Which ones fill you up? Which book have you always said you will read again and still haven’t? Which book are you craving? These questions just might lead you to some exciting reading-traditionally, digitally, or audibly. May the books on your shelf impact your 2019. I’ve traveled to Jordan twice this year. Much could be said about traveling to that part of the world. One thing I noticed the first time and then even more the second time is this: Arab men know how to do community. They enjoy talking to each other. They enjoy healthy disagreement. They share the good and the bad. They lean into one another. They plan time together. From my experience, they do it better than we Americans. So I’m doing what I can now to change that experience. We have an opportunity. If the opportunity could be boiled down to one word, I believe that word is trust. Much like we have to grow our trust in God, we should pay attention to grow our trust in one another. It’s quite possible that the former is needed and necessary in order for the latter to happen. So how do we go about growing these trusts? Yesterday one of my friends did this with me during a breakfast conversation. He shared a fear he’s dealing with, and I’m the first male that knows. He seemed to feel better just because he had a brother to share his fear with. Scripture tells us to bear each other’s burdens (Galatians 6:2). Imagine how lighter the community of men would be if we shared our fears rather than bearing them all alone. What if we started by sharing our fears with God and asking him to give us the courage to share them with a brother? We have the habit of not being real, not being completely honest and transparent. Guys, you are not going to be weak by being real. You are going to be stronger because you are not denying the truth. The truth can only set you free when you speak it and live in it. Earlier this year I watched a brother go through a trying season, life threatening, because he refused to be honest. Imagine how stronger the community of men would be if we embraced honesty. What if we started by being honest with God and humbling ourselves to be honest with a brother? As I’m writing this, the news is reporting the murder/suicide of a deputy sheriff’s family in a nearby county. Familiar story-no one knows why, no one suspected it, no one saw it coming. We can grow our trust in numerous ways of taking chances. What if we took a personal chance by considering a mental health check up as much as a physical one? What if we took a chance by pointing out odd behavior to our brothers? What if we took a chance by asking how to pray for one another? What if we took a chance to follow through on a Holy Spirit nudge to reach out to a brother? Imagine the impact to the community of men if we took more chances. What if we started by asking God to give us a chance to take today? The subject of rest and Sabbath has become a constant for me over the last twelve months through leading a coaching program and co-leading webinars. If I’ve learned anything in this time, it’s that we could all use more conversing about this as well as more examples of it. In that light, I thought I’d share how mine went yesterday with some notes. It didn’t last all day. First thing, I had to deal with some car stuff. Finished and back home at 11. Those seven hours included reading devotions and two other books, blogging, meditating, napping, and going to the gym (in this period of my Sabbaths, the TV is not on). None of this felt like work. (Another aspect to Sabbath’s golden rule.) At the end of those seven hours, I could say I had more “life”; you could even say more peace. No one model of Sabbath fits everyone. While reading may give one person life, it may drain another person. Similarly, playing golf would drain me (probably more like kill me) but would completely bring joy to some friends of mine. So to give us all some kind of guide, here’s a reminder of the golden rule for Sabbath: cease that which is necessary in order to embrace that which gives life. What could you embrace during your next Sabbath? Since this book was released, several minister friends have suggested it. Now I know why. My first Tripp book was Awe. So I expected the candor of his writing. But his candor isn’t meant to only cut; it is meant more to heal. If you are a minister who knows you need healing along with everyone else, this book should be in your cart. No one is more influential in your life then you are, because no one talks to you more than you do. When people are your substitute messiah (you need their respect and support in order to continue), it’s hard to be honest with them about your sins, weaknesses, and failures. The big crisis of the church is not that we are easily dissatisfied but that we are all too easily satisfied. Every person still living with sin inside is a very skilled self-swindler. The greatest danger in my life exists inside of me and not outside of me. You have to live with realistic expectations. In the intersection between the promises of God and the details of your situation, what you do with your mind is very important. Security is never to be found in our attempt to figure it all out. Mediocrity is a heart problem. You can actually be mature in your understanding of God’s sovereignty but live a life of fear, because in your immaturity you have attached your security more to your control into God’s wise rule. You must think of yourself not only as an instrument of ministry but also as a recipient. One of the scandals of hordes of churches is that no one is pastoring their pastor. These quotes should encourage ministers to see what deep guidance, counsel, and encouragement Tripp provides you in this book. 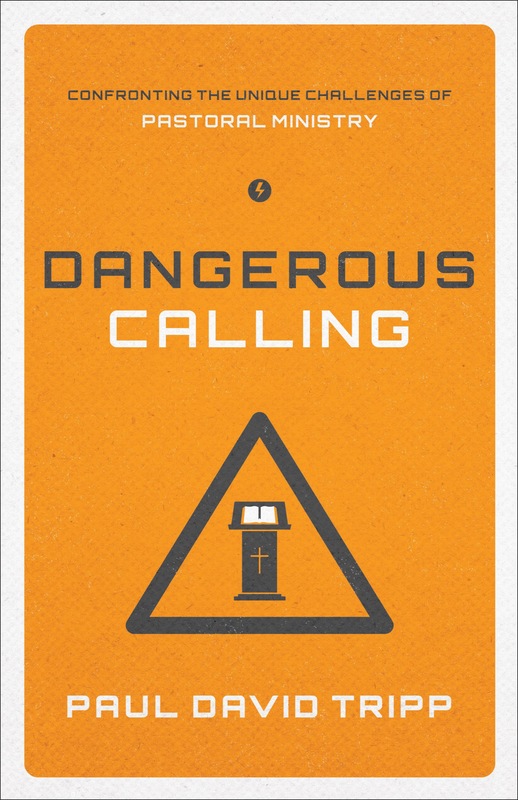 To those under ministers, you could also benefit from reading this book in order to know how to pray for them and seek to encourage them wherever and whenever it is appropriate to do so in their dangerous calling. I got a call today from a friend looking for a reference for his friend. He flew states away to help his friend who is in crisis. He illustrated this truth about friendship-you do what you don’t have to. A friend doesn’t have to tell you the hard truth. A friend doesn’t have to go to bat for you. A friend doesn’t have to give you their time. A friend doesn’t have to offer you help. A friend doesn’t have to sacrifice for you. A friend doesn’t have to go the extra mile. A friend doesn’t have to do for you what you aren’t capable of doing for yourself. A friend doesn’t have to care about your future, your success, or your wellbeing. A friend doesn’t have to choose to be your friend. But because they do what they don’t have to, you can call them friend. Who in your life does what they don’t have to for you? Thank God for them. Thank them for them.